Hair-Raising Styles to Try This Summer! 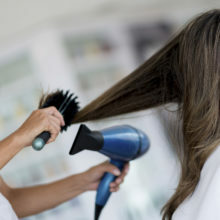 I love long flowing locks more than just about anything else, but with the heat and humidity that comes with summer, who wants to spend all that quality time with their blowdryer? Thanks to sites like Pinterest, the inspiration for cute summer updos is right at our fingertips. 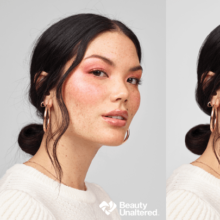 Here’s a look at six of our fave looks! 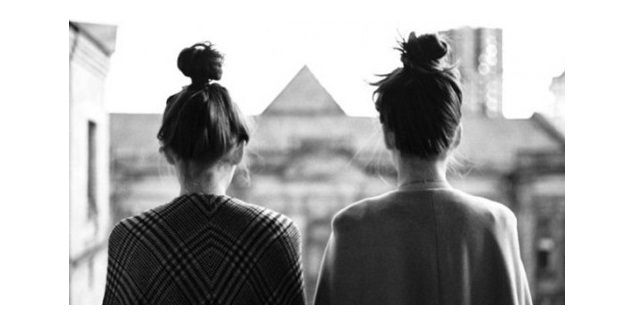 Top Knots! Who doesn’t love throwing up their hair in a messy bun? 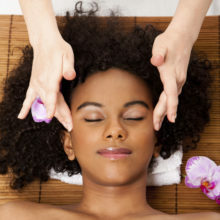 Top knots have been all the rage in Hollywood, with tons of celebs rocking ballerina bun-head styles on the red carpet and in their everyday lives . 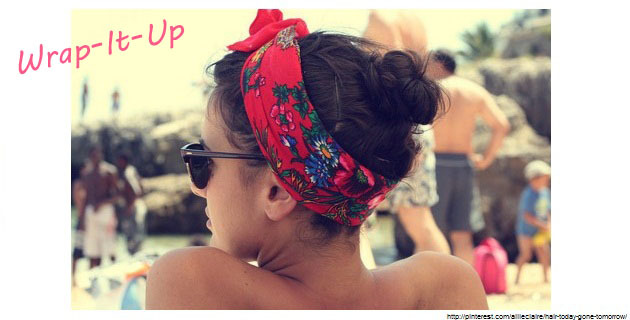 Dress up your knot with a cute bow for a look that goes from the beach to the bars in no time! I’m loving this white lace style from etsy. To dress up your knot even more, grab a printed scarf and wrap it up pretty! Scarfs are a perfect way to make your look extra special and still manage to look as effortless as summer calls for. Currently obsessed with this Grecian chain head wrap from Nordstrom. I’m sure by now you’ve tried or at least heard of the sock bun. If you haven’t you must check out this on-the-money tutorial from Say Yes To Hoboken, check out the volume you get from a simple sock! 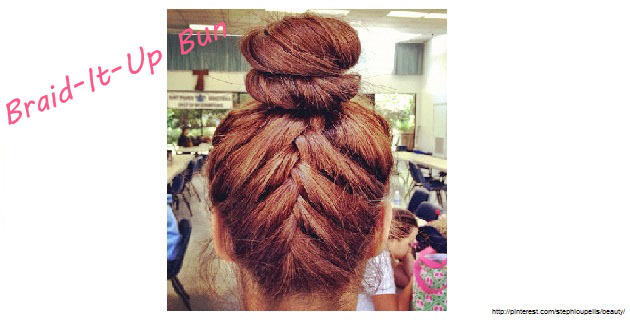 If you’re looking for a look to really wow people when wearing a bun, incorporate a french braid. This style may look hard but its really a breeze. 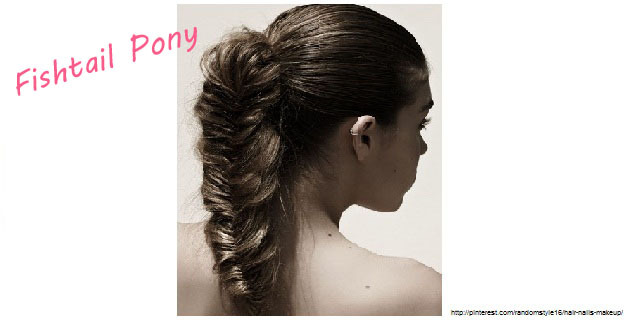 Flip your hair upside down and from the nape of your neck start a french braid going towards your crown. 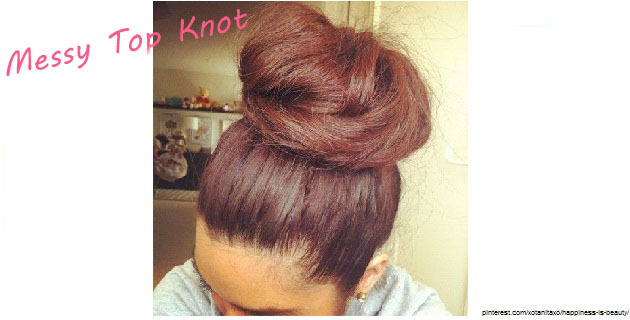 Once you get to the tops of your ears secure the braid with an elastic and then proceed to create a perfect sock bun. Voila! 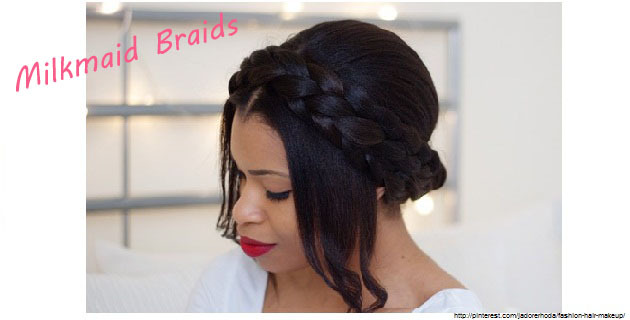 Milkmaid braids are another summer-do which have been gracing the red carpets. From Mary Kate Olsen to Michelle Williams, Hollywood’s A-listers just love these cute and easy braids. I’m a big fan of leaving out a few pieces in the front to keep you from looking like an actual milkmaid! For this look just braid two pigtails and then wrap each around the front of your head like a headband and bobby pin them in place. This has long been one of my favorite looks spotted on Pinterest. I usually find the basic ponytail incredibly boring but this year they’ve been a giant trend on the runways for Summer 2012. 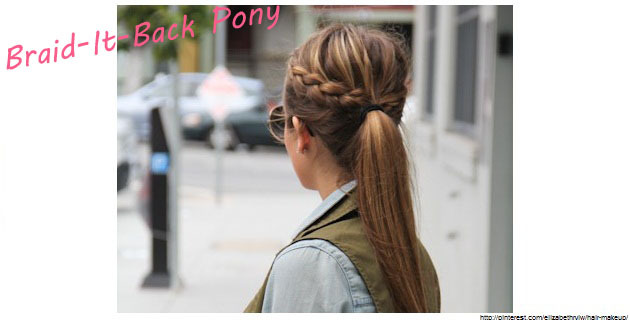 Spice it up with two side french braids leading into the ponytail and you’ve got the perfect style for work and for BBQs! My most beloved braid, the fishtail. It takes some practice but once you get the hang of the braid it will fast become your favorite too! After seeing Nina Dobrev rock this look I knew I had to try it. My secret weapon for making the braid look as thick as this model’s? Clip-in hair extensions. Make sure you get a quality brand made with Remy human hair, I use Luxy Hair Extensions anytime I need an extra oomph!